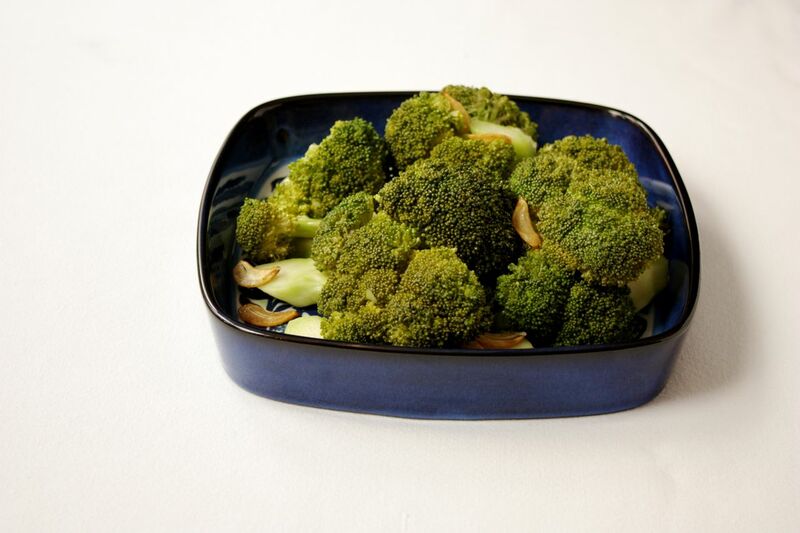 This is a milder, simpler version of another broccoli recipe on le sauce, and actually, this one came first. I had to make a side dish for a family dinner party and I wanted it to be approachable enough for all. I spent most of my time thinking about getting a lot of flavour out of the garlic, and seasoning the oil that I knew the broccoli florets would soak up. All enjoyed it—but the kids raved. They started commenting on the smell first, the aroma of the garlic got them hungry. Then they actually got excited when they saw the broccoli. Enough time around kids at dinner tables has convinced me that “kids hate broccoli” is an outdated cliche. It’s one of the vegetables they find familiar and are therefore comfortable putting on their plate and with the exception of one very “choosy” eater, every kid I know is practically a card-carrying broccoli fan club member. Broccoli and lots of garlic and kids. I’m telling you.